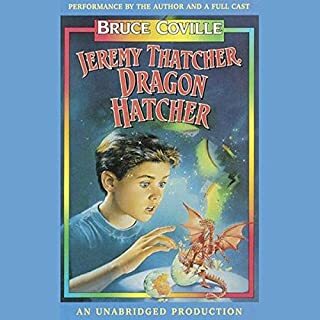 If Howard Morton and Freddie the Frog Killer were trying to hold you down so that Mary Lou Hutton could kiss you, you might run as fast as Jeremy Thatcher did the day he stumbled into Mr. Elives' Magic Shop. And if you stumbled into that strange shop, you, too, might be asked to make a choice. What would you buy? The Chinese rings? The Skull of Truth? Or the dragon's egg? My kid and husband love it. Rose Howard has OCD, Asperger's syndrome, and an obsession with homonyms (even her name is a homonym). 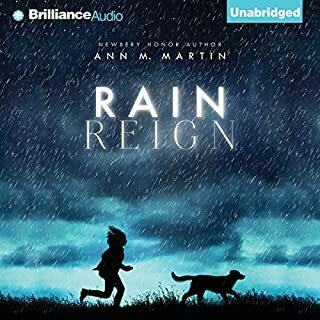 She gave her dog Rain a name with two homonyms (Reign, Rein), which, according to Rose's rules of homonyms, is very special. Rain was a lost dog Rose's father brought home. Rose and Rain are practically inseparable. And they are often home alone, as Rose's father spends most evenings at a bar, and doesn't have much patience for his special-needs daughter. Beautiful; touched my heart; made me cry! Is your school just a little too…NORMAL? Maybe you should go to Wayside School. You'll meet Bebe, the fastest draw in art class; John, who only reads upside down; and Sammy, the new kid—he's a real rat. Come on! Hurry up! If you're late for class, Mrs. Gorf will turn you into an app…Oops. Sorry about that. 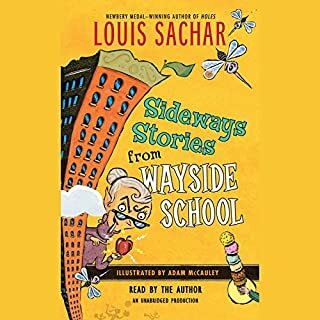 More than 6 million kids have laughed at the wacky stories of Wayside School. 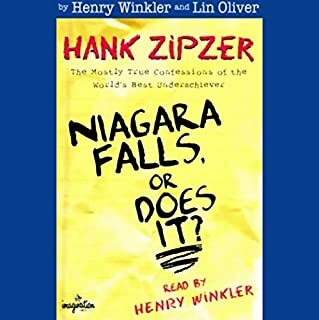 Hank Zipzer: He's smart. He's creative. He's funny. His pencils are sharpened. His binders are bound. He wants to do well in school, he really does. He tries not to be lazy, like his parents claim he is. So why is he always getting into trouble? 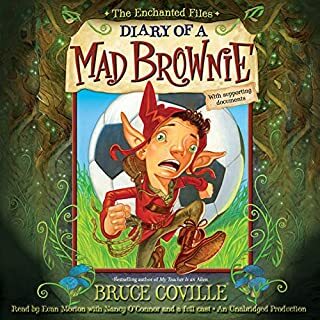 In the first hilarious Enchanted Files, Angus is a brownie. No, not the kind you eat! He's a tiny magical creature that loves to do chores. Angus has just "inherited" a new human girl, Alex. To say that Alex is messy would be an understatement. She's a total hurricane-like disaster - and she likes it that way, thank you very much! Living with each other isn't easy, but Angus and Alex soon learn there is a curse that binds them. What's worse, it threatens Alex's family! When Michael is washed up on an island in the Pacific after falling from his parents’ yacht, he struggles to survive on his own. He can’t find food and he can’t find water, and as Michael and his dog curl up to sleep, he knows they cannot last long. But he soon realises there is someone close by, someone who is watching over him and helping him to stay alive. Meet the boy who can talk to animals and the man who can see with his eyes closed. And find out about the treasure buried deep underground. A clever mix of fact and fiction, this collection also includes how master storyteller Roald Dahl became a writer. With Roald Dahl, you can never be sure where reality ends and fantasy begins. Miles Murphy had it made. He lived in a great town near the ocean, he had two best friends, and most importantly, he had a reputation for being his town's best prankster. All of which explains why he's not happy to bemoving to Yawnee Valley, a sleepy town that's famous for one thing and one thing only: cows. Worse than that, Miles quickly discovers that Yawnee Valley already has a prankster - and a great one. If Miles is going to take the title from this mystery kid, he'll have to raise his game. On a snowy night, Cara and her grandmother are pursued into St. Christopher's church by an unknown man. Clutching her grandmother's mysterious amulet, and following the old woman's instructions, Cara escapes their pursuer and falls into Luster, the world of the unicorns. An anthology of 13 monster tales features writings by Jack Prelutsky, Jane Yolen, Patrick Bone, Joe R. Lansdale, and others. 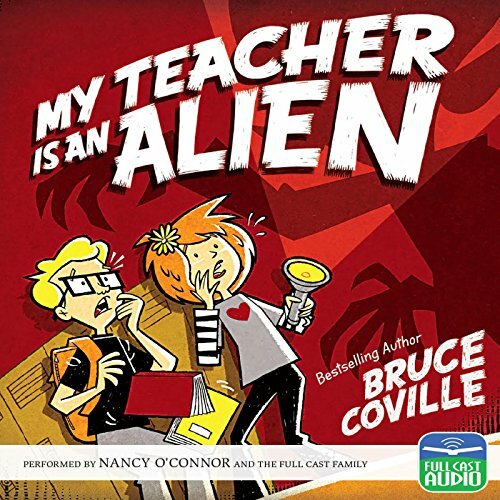 By the author of My Teacher Is an Alien. Eleven-year-old Ellie has never liked change. She misses fifth grade. She misses her old best friend. She even misses her dearly departed goldfish. Then one day a strange boy shows up. He’s bossy. He’s cranky. And weirdly enough...he looks a lot like Ellie’s grandfather, a scientist who’s always been slightly obsessed with immortality. Could this pimply boy really be Grandpa Melvin? Has he finally found the secret to eternal youth? The first day of seventh grade is probably the worst day of Duncan Dougal's life. He knows that things are really bad when he finds an alien's hand in a Dumpster and then gets plugged into an alien brain fryer! Can Duncan find out which of the four new teachers in his school is an alien before his brains get fried to a pulp - or before the aliens try to fry the whole planet? Eddie "Air" Ball wants to win the Finkle Foods poetry contest for a chance to sink a million-dollar free throw at halftime of the NBA finals. He knows he can make the shot, no problem. He's not so sure he can write a winning poem, though. Luckily, Eddie has the help of his best friend, Annie "Oakley" Stokely. Not only is Annie as good at shooting baskets as Eddie is, she also knows a lot about writing poems. my grandson loved this book. A Civil War sword, a watermelon stabbing, missing roller skates, a trapeze artist's inheritance and an eyewitness who's legally blind! Encyclopedia Brown must solve cases by using his famous computer-like brain. Try to crack the cases along with him! Ned is not just any troll. Even though Ned is nearly seven feet tall, with a nose the size of a pickle, Ned has a heart full of love! A heart that swoons over poetry and craves true friendship! And when it comes to humans...it's complicated. So complicated that, long ago, Ned fled the Enchanted Realm for the one place no one would notice a troll hiding in plain sight: New York City. But one human boy - Cody - has noticed. The story begins when Susan Simmons returns to school from spring vacation. Susan has been looking forward to the big class play her teacher has been planning. But to her dismay, Ms. Schwartz is gone...replaced by tall, handsome Mr. Smith, a strictly "by the book" teacher with some very strange habits. Investigating her new teacher, Susan makes a shocking discovery: "Mr. Smith" is actually an alien named Broxholm who is planning to abduct five students. Susan has to stop him! But who will believe her story? Her only chance is Peter Thompson, the class' biggest geek. Can two kids possibly unmask a powerful alien? And what will happen if they succeed? Good book for kids and adults. Listen to this or read it yourself to your kids for a more personal experience. Absolutely loved this series when I was a kid. 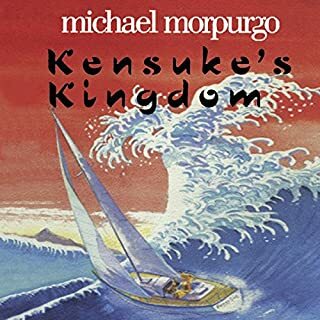 I downloaded this audio book because I love listen to Full Cast audiobooks and was in the mood to indulge my nostalgia. I really hope there are plans to record the rest of the series. I would love to listen to them.